The Main Titles (on V2 and V3): Double click on the smart object layer « Double click to edit », Type your own text in the newly opened window and Save. 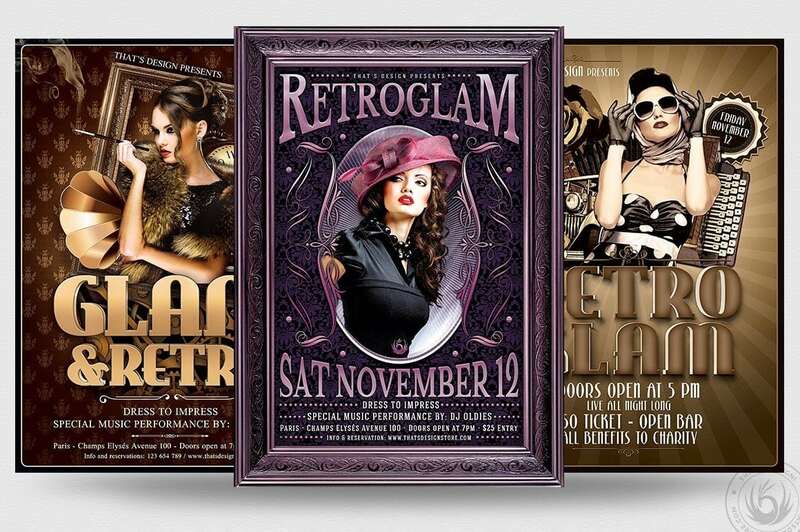 Grab this Retro Flyers PSD Templates Bundle and Customize your Photoshop PSD flyer templates easily. Retro Glam Flyer Template V1. Retro Glam Flyer Template V2. 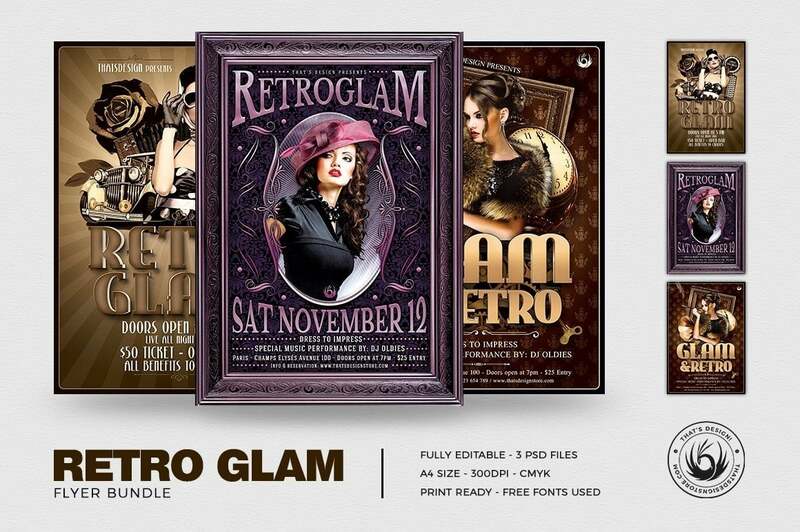 Retro Glam Flyer Template V3.